Soon, the class was counting 1, 2, 3&4, 5&6 in unison for the three basic patterns. Afterwards, we added an 8-count whip. This gave all dancers enough patterns to start utilizing the dance on their first day. 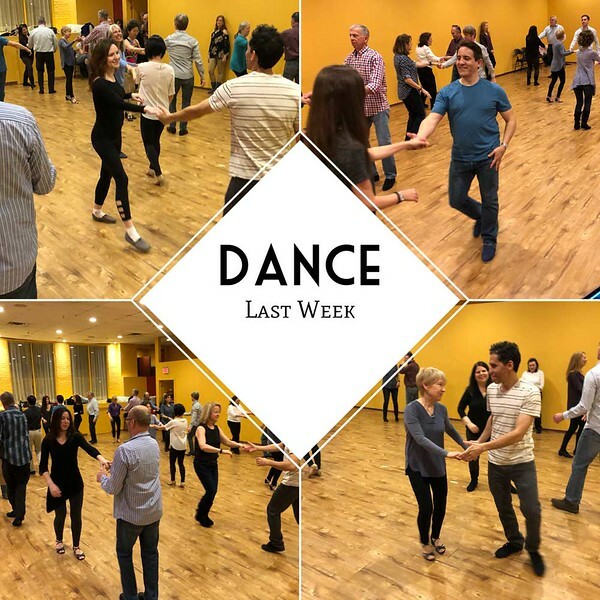 While it might not be perfect yet, it was a good starting point to get the necessary social experience and joy of dancing. We also had a special visitor. Susan Wittmann joined us in class during her visit to Connecticut from North Carolina. It was fun to see her in class again and even get to share a dance with her. Hopefully, she'll come to visit again soon. I'm looking forward to West Coast Swing this Thursday.